Hard water is a plumbing problem many of us just deal with. It may make your hair feel greasy or leave soap scum behind in the tub or residue on dishes, but at least it’s not bad for your health, right? You might feel that hard water is a manageable problem and you don’t have to treat it, but there is the unfortunate fact that hard water can ruin your plumbing. 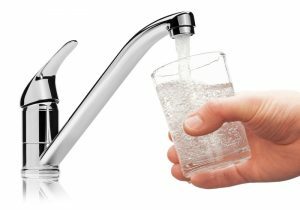 Learn why it’s so important to treat hard water and which systems work best in today’s guide. We’re here to answer any questions you have and make sure you get the best water filtration system or water softener for your home, so contact our team to learn more. 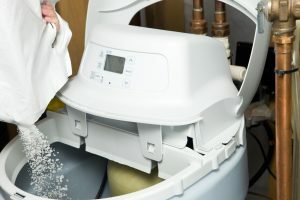 WHAT’S STANDARD MAINTENANCE FOR A WATER SOFTENER? If you have hard water, you know it can be a pain. 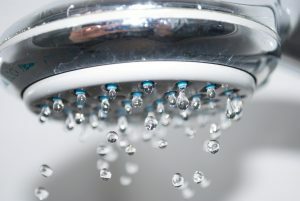 If you let hard water go untreated, you could end up with some tough cleaning to do in the bathroom and kitchen. More important, though, is that your plumbing system’s lifespan is lowered significantly thanks to hard water, a high concentration of minerals like calcium in your water supply. That’s why you may need a whole-house water softener to eliminate hard water at the source, right where it enters your home. Unfortunately, maintaining this system can seem like a pain as well. However, as long as you stay on schedule and have plumbing technicians take care of the hard parts, it doesn’t have to be so difficult! Posted in Water Treatment Systems | Comments Off on WHAT’S STANDARD MAINTENANCE FOR A WATER SOFTENER? When you’re a renter, you often don’t have to pay for some of the necessities that come into your home, like water. When you own your home, though, you start to see that the bills add up a lot faster than you think. You’re responsible for every drop of water that comes in through the meter, on top of every bit of fuel and electricity you use. It’s worth it to take the time to assess your home systems and make some changes that could benefit your wallet in the long term. This might be surprising, but your plumbing system tends to use up a lot of the resources you need, and not just water. Find out how to cut money by making a few upgrades to your plumbing!